Last night I attended our annual prayer meeting and fasting. 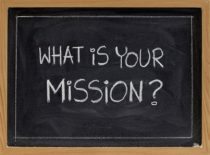 Our Pastor asked the question: What do you think is your mission in life? Having given a chance to live here on earth not just once but four times, i can say that I really still have missions to accomplish. And I'm grateful to God for giving me those chances. I hope and pray that I'll be able to do what God has commanded me to do. And that is to share the love and sacrifice of our Lord Jesus Christ on the cross just to save us. I hope to give encouragement to those who are loosing hope because of the trials they are going through. And I hope I can be a channel of blessing to those who are in need.